Junkstock® is the place to be for vintage finds, unique antiques, handmade artisan food and goods and one of a kind repurposed relics. The three-day curated vintage, junk & artisan festival that celebrates all things rusty, dusty & timeless at the charming century-old Sycamore Farms. Ranked one of the nation’s top vintage festivals, Junkstock features junk and vintage vendors and artisans from our own backyard and all over the country, live­ music, food trucks galore, and a free Kids World. Pet friendly, just remember your leash! NEW LOCATION DUE TO FLOODING!!! Junkstock: Spring Edition is moving temporarily to the Sarpy County Fairgrounds April 26-28! 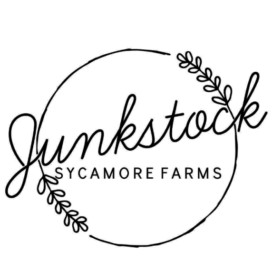 Due to recent flooding at our farm and Dodge Street having to be rebuilt, Junkstock will be temporarily moving to the Sarpy County Fairgrounds for our April event. Just 20 minutes from Sycamore Farms, the fairgrounds is located three miles off of I-80 and is off of Hwy 50 (144th Street) in Springfield, Nebraska. Springfield is a suburb of Omaha just like Waterloo and it has 30 acres of parking, tons of great buildings with indoor spaces. Plus, it’s flat and has a great tree lined green space for vendor tents and food trucks!